Jace and Jesse are joined by writer Joshua Dysart for an in-depth conversation about Harbinger. How Josh came to be on the project, early choices he made and the themes he wanted to explore, they touch on all that and more. Plus Jace and Jesse break down the first issue. As the writer of Harbinger how would you describe the story to someone who knows nothing about the story? Has that synopsis changed in your mind at all from how you first summed up the story you were about to tell in the beginning? Tell us how you came to be involved in the project? What themes did you want to explore? Do you feel like you accomplished the examination of those themes with the story you told? Let’s talk specifically about Pete Stanchek as his story is the most significant in Issue #1, what led to the choices of making him so incredibly flawed, hard to see him as the protagonist. Harada is obviously the other big character in issue #1. We have talked about him at length on the show before, but as you are currently crafting what could be your final story with him, what, if anything, surprises you about Harada’s story as you have told it? 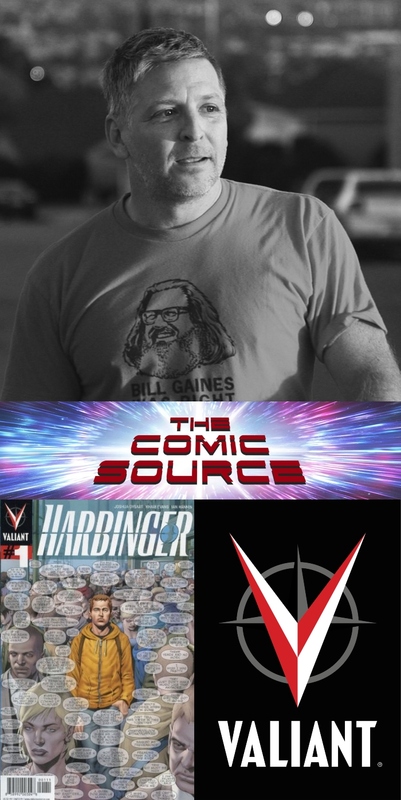 The goal as a writer is always to be evolving, challenging yourself, experiencing new things that you can then bring to your writing, if you were starting over and working on it now and issue one of Harbinger were coming out in June 2019 instead of June 2012, what would be different? We’ve often talked about whether Harada is a hero or villain, but what about Pete? Hero or villain? And maybe more importantly, can a character as flawed as Pete ever reach his full potential? Of would that be out of character for the person you created? Anything you want to tease about Life and Death of Toyo Harada?